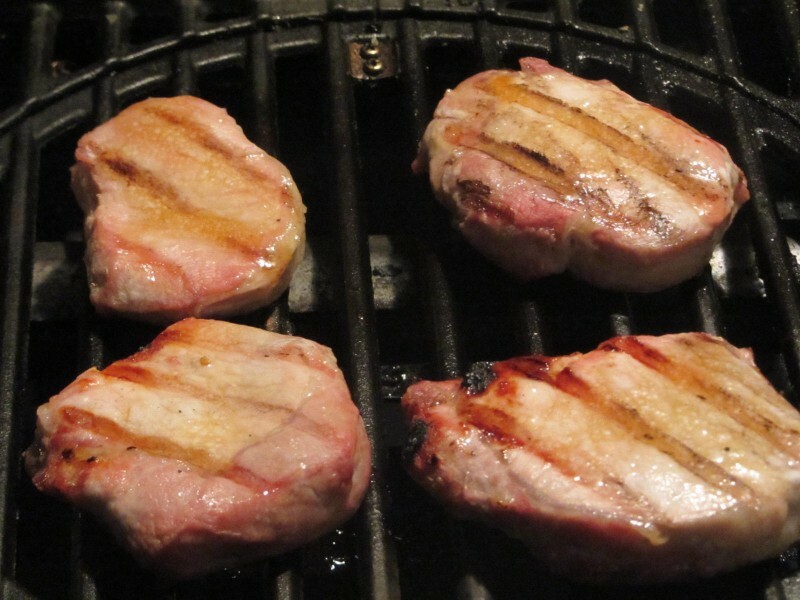 I’ve always liked pork chops, but I remember them from my childhood as dry tough slabs of meat that my dad cooked on the grill. 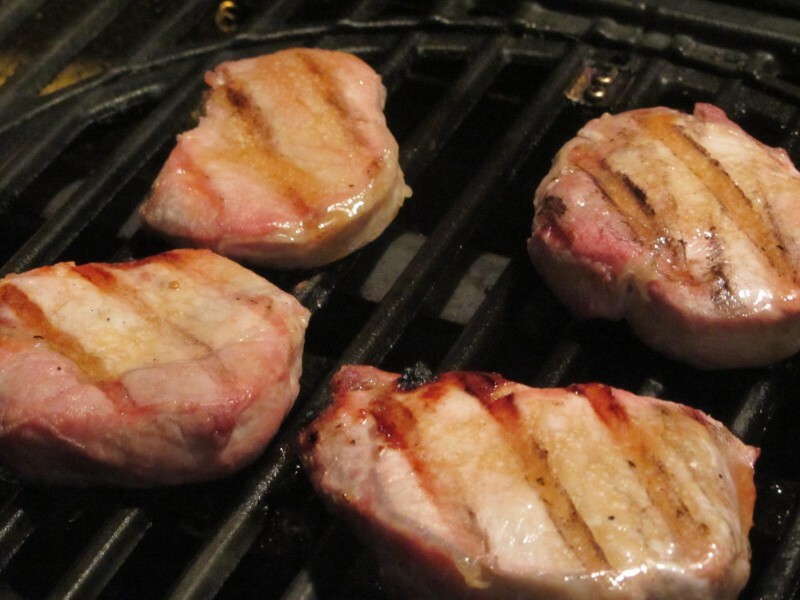 My first few attempts at pork chops weren’t much better. Then I found this recipe. 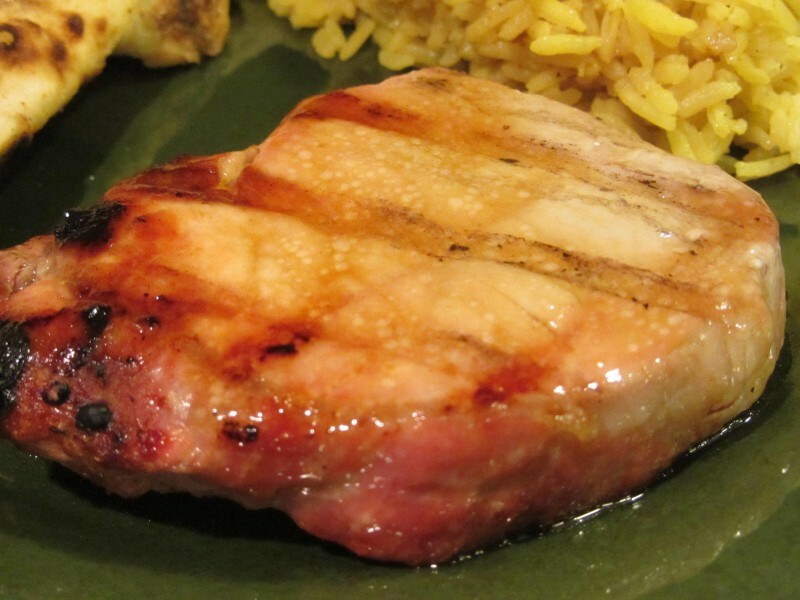 The pork chops are come out moist if you simple don’t overcook them and the sauce is AMAZING! I always end up with extra sauce. Be sure to save it…it tastes great over all kinds. 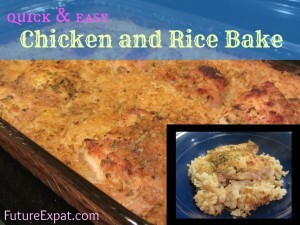 I’ve use it on leftover rice, couscous and chicken. So before the summer grilling season disappears, do yourself a favor and give this recipe a try. Start by preheating your grill to high heat. 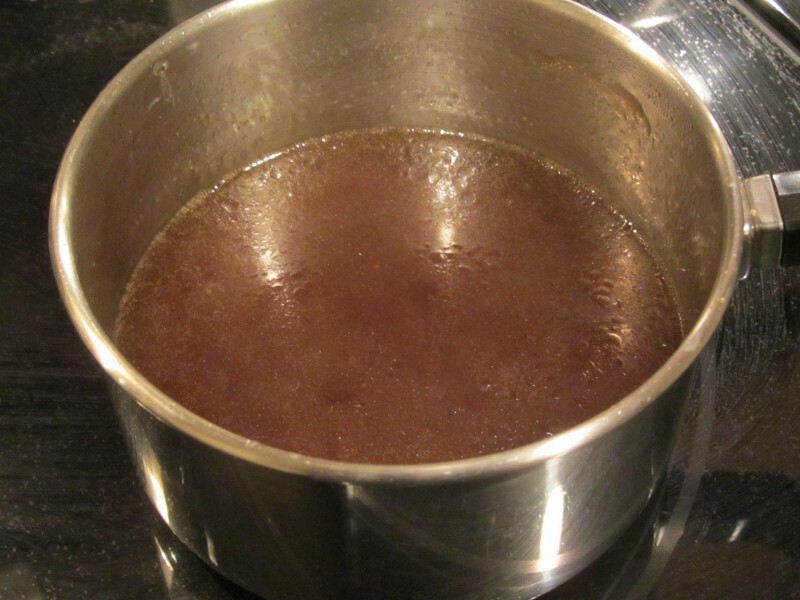 In a small saucepan add brown sugar, apple juice, oil, soy sauce, ginger, salt, pepper, cornstarch and water. The apple juice really makes this sauce remarkable, but if you don’t have any, substitute your favorite beer. 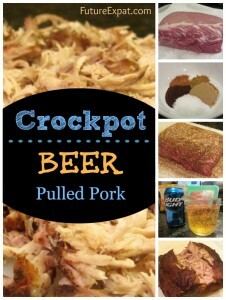 I tried it once with a wheat beer and really loved how it turned out. Just be sure to cut back the oil if you go with beer. Once you have your sauce ingredients mixed together well, turn up the heat and bring the mixture to a boil. Allow it to lightly boil until thickened. 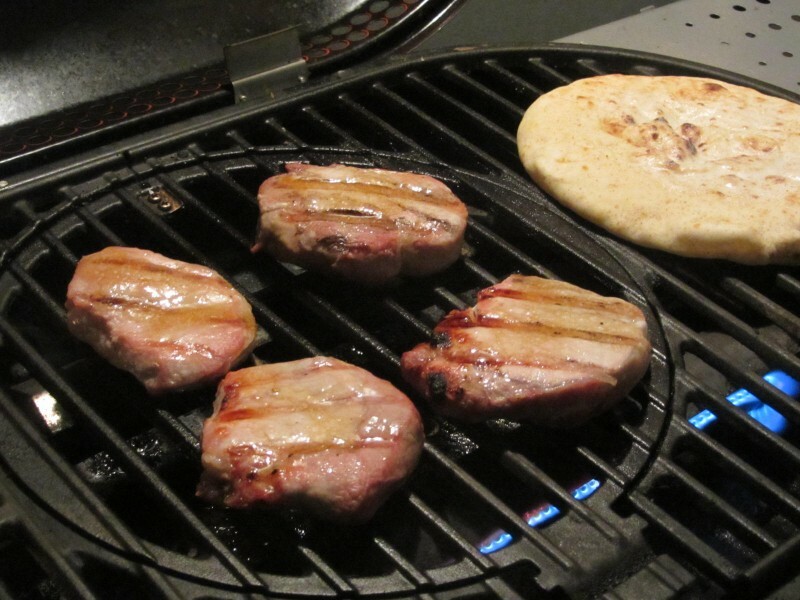 Brush grill grates lightly with oil before placing chops on the grill. Cook for approximately 10-12 minutes, turning once. Baste pork chops with sauce just before removing from grill. 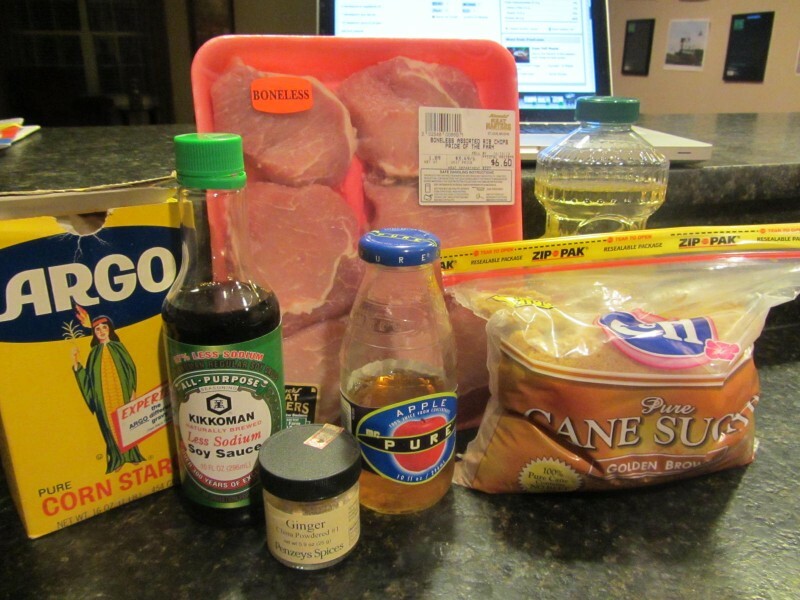 Top pork chops with additional sauce and serve remaining sauce on the side. Thank you for a different pork chop recipe on the grill! Making these Friday instead of my usual! Pinned! Wow, what a great recipe Karen. We enjoyed the pork chops prepared this way. It was quick and easy to make with terrific results. We really loved the smooth, silky sauce, it was awsome. 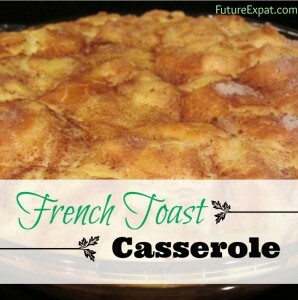 Thank you so much for sharing this lovely recipe. I’m thrilled you liked the recipe. The star of this recipe is definitely the sauce. I’ve made it both as written or with beer subbed out for the apple juice. Both ways it is wonderful. I love the photo of your chops. So glad you liked them as much as me. Wow, I loved the pork chops prepared this way. 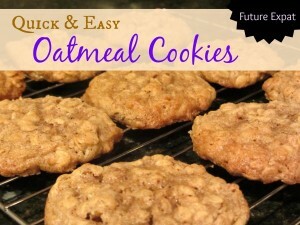 They were so good, quick and really easy to make with wonderful results. 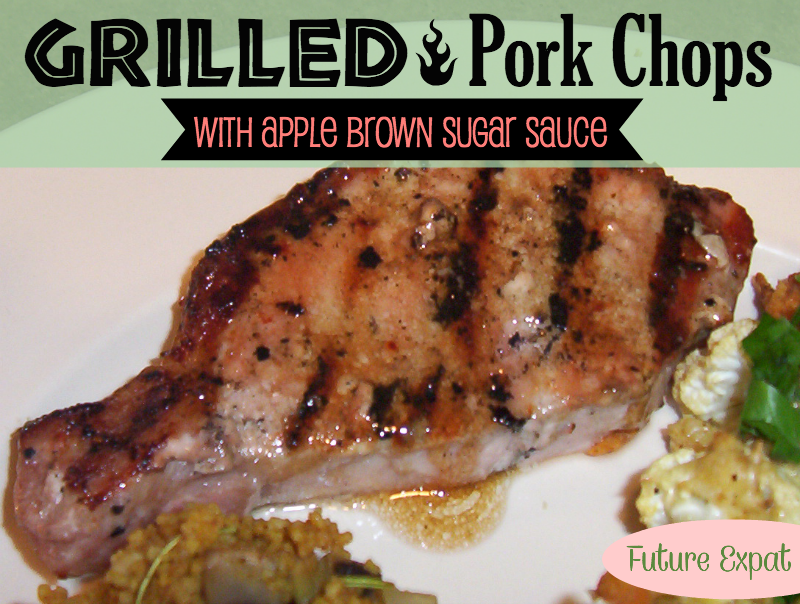 The pork was perfect, tender and juicy with a lovely apple glaze. 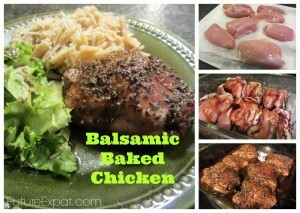 The apple glaze was so good; I’ll be making this again and again, can’t wait to try it on chicken. Thank you for another wonderful meal. Made as written FYC tag game. I’m so glad you liked it as much as I do. 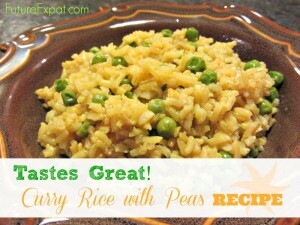 I sometimes make this with rice, and end up putting sauce all over the rice too. Delish! 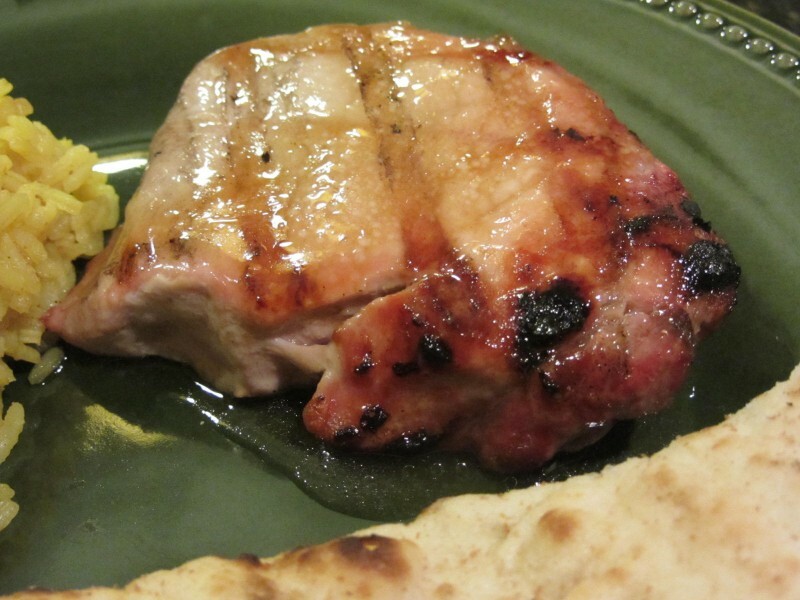 The sauce is very easy to put together and the pork is prepared so quickly, too. I loved the brown sugar glaze. Thank you!